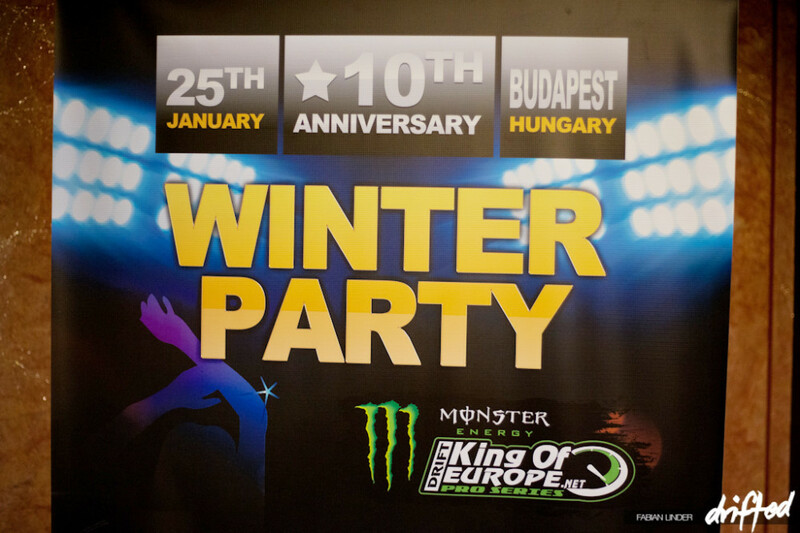 We went to Budapest for the 2014 King of Europe Winter Party 2014; as you can imagine it was really hard work. It was my second time in this beautiful city; sadly the weather was even worse than last year. Saying that, I would strongly recommend the city as a travel destination. It has survived the wars without great damage, meaning the city if full of beautiful architecture. 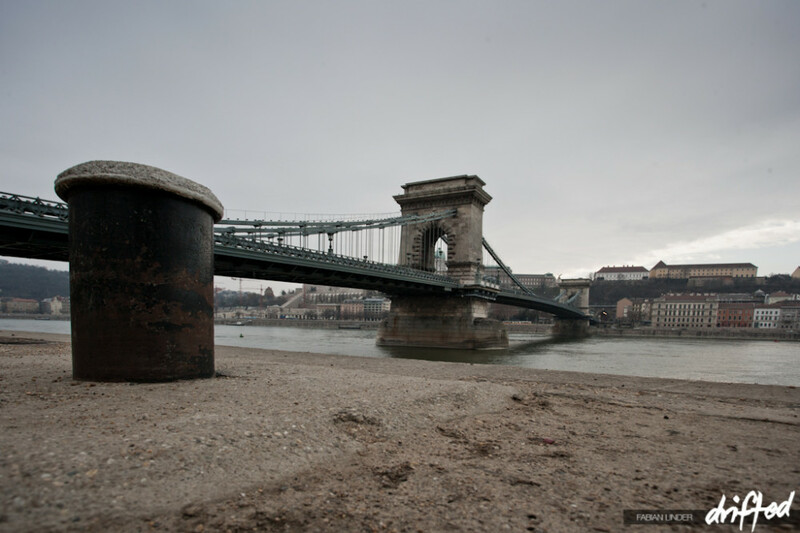 Above you can see the Chain Bridge, the emblem of the city. Despite the fantastic city, the reason for our trip was the King of Europe press conference and Winter Party. The first part of the press conference was a review of the past season with some nice videos capturing the action. A new series was then unveiled: the King of Touge. It’s a series dedicated to the roots of drifting – the mountain roads. With only four stops it might be a good alternative for the regular KoE drivers who can´t afford to compete at all eight Pro Races. First stop in the King of Touge series is a well known spot for French drifters; the location of last year’s Touge Slide Challenge in the French Alps. The return of the crazy Karpacz Touge event, which has been a highlight of the Polish Drift Championship. This was a big surprise and we are already looking forward to it. The following clip of the last Karpacz event will explain why we love it so much. Opening event is the race in Austria, check last years event feature. The second round is at the home of KoE champion Francesco Conti on a street track. Finally King of Europe arrives in the UK! Expect some nice coverage by our media crew. But that’s not the end of the season! Celebrating the 10th anniversary of King of Europe, there will be a King of the Kings race in St. Pauls Bay, Malta on 4th-5th October. At the King of the Kings race, only winners of King of Europe events are allowed (and selected international guests). This sets the stage for an epic showdown of the best drivers from all over Europe. We’ll be bringing you the best of the KoE series coverage throughout the season. It looks set to be a hell of a year! VIDEO: Exclusive – Team Driftmonkey x Zero Media – First Official Video of 2012!